While basmati is the world’s best loved rice, not all basmati brands are created equal. Mixing regular rice with basmati to economize on cost is a usual practice and the percentage of non-basmati rice may vary from brand to brand. 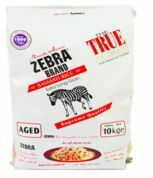 Zebra Basmati provides the assurance of purity.